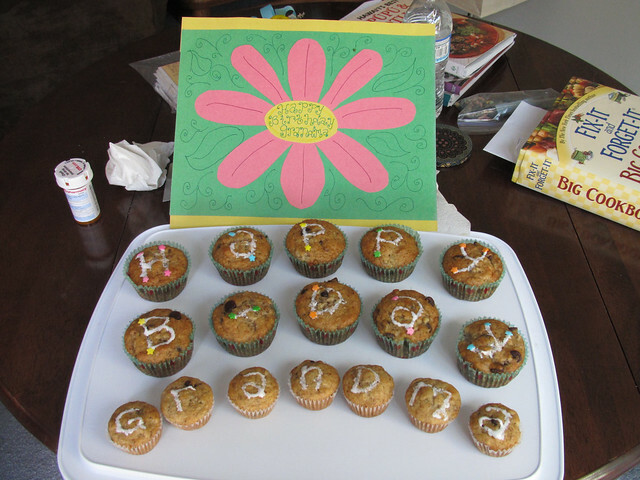 I made her some banana chocolate chip cupcakes and a little placemat for her to eat on. I was drawing and cutting everything out with one hand while feeding Vincent early this morning! Gonna have to learn quick to do things one-handed. 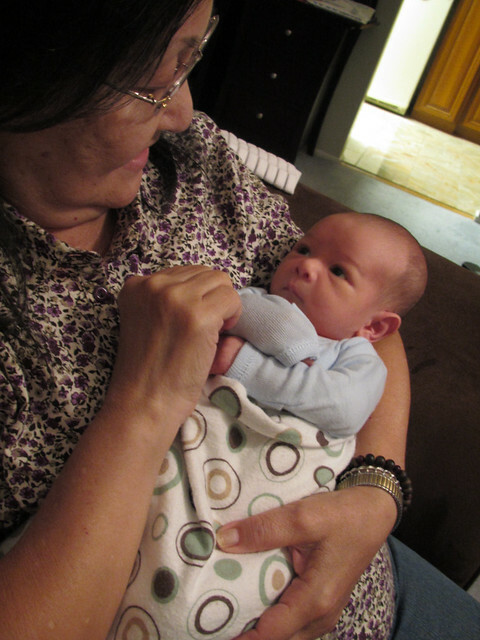 Here is an example of Grandma Jerrie’s great home cooking! 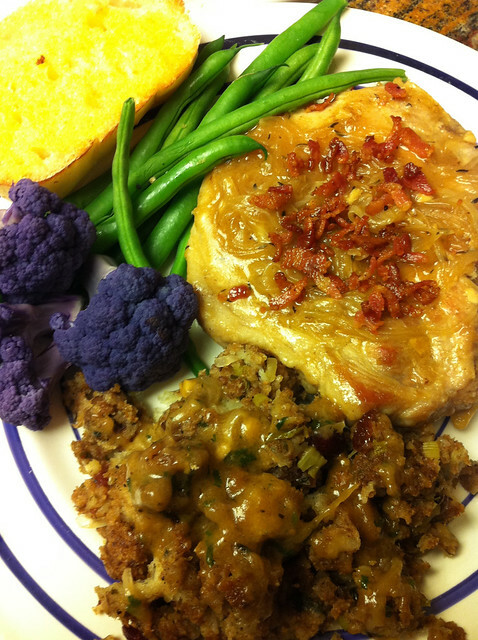 Smothered porkchops, stuffing, gravy, purple cauliflower and green beans. Delicious! We are so spoiled! 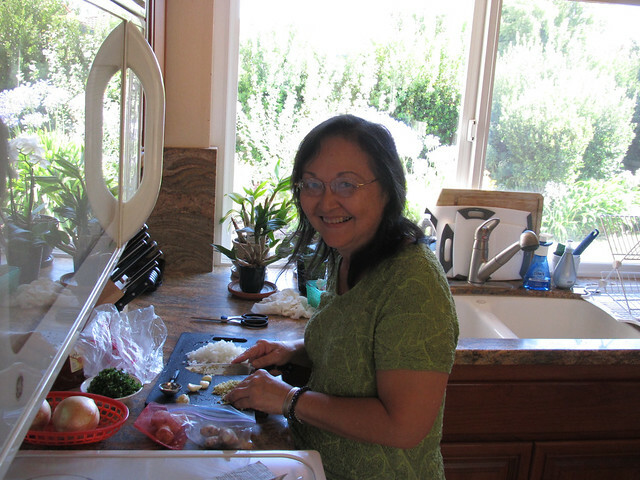 Here she is slaving away in the kitchen! I think she had fun though, i know she loves to cook. She tried quite a few recipes from America’s Test Kitchen cookbook.